Some time around 2007 in Goa, I met a few very nice and friendly Russian freelance internet pioneers. They had made Goa their base during the winter months, but they would travel to their liking around the South Indian States, from Pondicherry, Mysore to Kodaikanal, Munnar and Alappuzha. I had not traveled the Southern Indian States at that point and was mesmerized by the stories they would share. “Kodaikanal is a gorgeous quite hill station situated in the South Indian Western Ghats mountain range”, they said and added: “A true paradise which I needed to have seen.” Of course I ended up dreaming of visiting Kodaikanal after having been inspired by my Russian friends and later on by others as well. Years later, in fact a few months ago, we exactly did that and drove towards Kodaikanal after having visited Mysore and stayed a night in Ooty. From dusty hot plains we came closer to Kodaikanal and took the Kodaikanal mountain road in the dark hours of the day. We thought we would reach our aim soon enough, it turned out that the mountain road was quite brutal and unforgiving long. After more then an hour climbing up the road we came to a toll booth, where we were welcomed to Kodaikanal. We followed the road, realizing the temperatures had dropped outside, when all of a sudden our eyes were flashed with numerous different red, blue and white light hotel sign boards. They were everywhere, blinding us as if we were in Las Vegas! We moved about with the car, looking out for rooms to stay and by doing so we squeezed through narrow roads, passing completely commercialized neighborhoods. And then it hit us: Kodaikanal nowadays is nothing like what our friends had experienced and reported a few years ago. You see, change and “development” can happen faster then you can imagine in India. Yesterday a village or town was peacefully growing with the help of tourists, today the same village has lost it’s charm with brand new cement walls dominating the whole area and road side garbage dumps growing in size. Hip and cool they call it, the future of Tourism in India. New mickey mouse-like buildings mushrooming in each corner, mostly build by “others” while the locals are left to fend for themselves, tirelessly fighting for survival in the short peak tourist season. The new tourist crowds visiting Kodaikanal are families from Southern cities, who mostly rent rooms for two nights at most before leaving Kodaikanal again. The cheapest rooms you can find during peak season in May are all way more then 2000 INR per night which is around 30$! This is a completely drastic difference compared to North India or even Goa where rooms per night are in the 300-1000 INR range. 30 US Dollar a night is expensive and if you get cheated and lied to on top of that, then it is just plainly wrong but more about that at the end of this article. In this post I want to share our experience and activities in and around Kodaikanal. What we did and what we actually enjoyed at the end of our two and a half days in Kodaikanal during the peak season. To be honest most of the sights were not that sensational and I don’t blame the tourist crowds. Don’t think I am complaining, I am just trying to be truthful and to save you time at the end of the day. I did cross check the Kodaikanal sights online, on tripadvisor and other known websites and I can just say that either people lie or they just don’t know it any better. We got to most of the sights either by walking around in Kodaikanal or with an overpriced taxi running on a dangerous looking gas bottle at the back of the car. The taxi was a complete “Schnapps” idea, so to say useless because we ended up skipping all the sights the taxi driver drove us to simply because we could barely recognize a reason why they were called special sights. I think the best way is to list the things which we did. They were either alright and fun or a complete catastrophe. It’s relaxing and you can find peace on the lake if you are willing to go a bit more out on the lake then other visitors. Some of us enjoyed it, others found it rather boring. Just a heads up, you might need to stand 30 minutes in a cue to get a chance to go on the lake. It’s a busy 500 meter walk but the view is great for a change and there are stalls along the way to keep you busy. Ominous but interesting! The museum was initiated by a reverend. It’s a small building which seems to be crumbling into itself near Kodaikanal city but you shouldn’t judge this book by it’s cover. From stuffed and preserved animal species and even embryos (!) you will find something to stare at. I mean seriously, the museum is creepy and the state of the exhibited things is not that good but I was completely surprised by the museum objects and diversity. The museum also harbors massive ancient local burial pots. 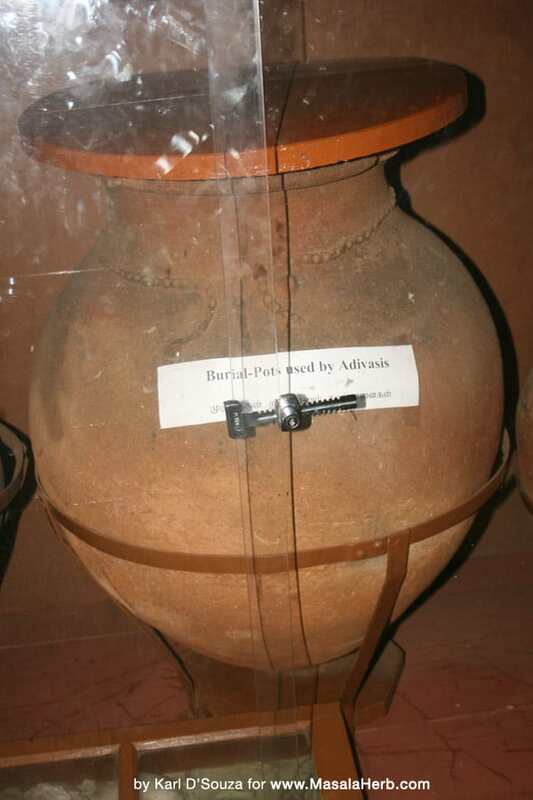 A museum guide tried to explain in broken English that the locals in the area would place their dead family members in these pots and the same would be buried under their homes. She also explained something completely shocking, that when a person would cross the age of 100 years, he or she would be placed into the pot alive before the family members would bury the urn. Now of course I am not sure how many people would actually reach the age of 100 but if this is true that they would bury the old ones alive, it might mean that old age wasn’t that uncommon in these south Indian tribes. We came to the Elephant Valley because we asked our guide to take us to a non tourist place and the guide hails from a village in this valley. It’s situated about 30 minutes from Kodaikanal and the road is terrible but on the way we saw actual pepper and coffee plantations and tasted freshly harvested local forest honey. We stopped at the last village near the Anjuvedda falls, Kollywood was shooting a movie there (Bollywood=hindi, Kollywood=Tamil, Tollywood=Telugu). The quaint villagers welcomed us and our guide’s former school teacher was so kind to take us a bit around. I think so that was the only time we actually got around locals and saw the essence of real life there. The local homes are very simple red brick and tile buildings with gardens harboring new to us fruit trees such as the Tomato tree (yep tomato tree!). We enjoyed hanging out with the locals, they seemed more down to earth. 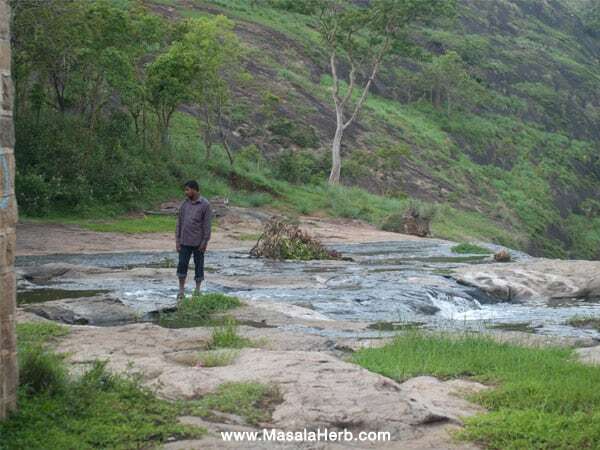 One can visit the Anjuvedda dam, which was build by the British, and the Anjuvedda falls but you ought to be careful because it’s slippery, there is no safety and you can fall and die. We loved the experience but it’s for young nature conscious people, otherwise I would not recommend it. The Elephant Valley climate is a cross between tropical South India and cold hill station Kodaikanal, that means humidity is a bit higher then Kodaikanal and it’s warmer as well. Elephant’s cross an age old route in the valley, hence the name elephant valley. The animals can not be disturbed, the locals know how to handle them so best is to ask a local to act as a guide in the area. The locals can explain you well the surrounding in the local Tamil language or in English (not in hindi!). The remaining Dolmen ruins in Kodaikanal are not a majestic sight and you might not want to check them out, but we made it a point to see the Dolmens because we were interested in the history of the area. I personally had seen many dolmens, stone alignments and menhirs in France such as Carnac, so it wasn’t the first time for me. The Dolmen are protected by the Archeological survey of India and they are situated in a small village in the Elephant Valley near a Hindu temple near the Palani Ghat road and near the Perumal Malai Village. The state of the Dolmen as you can see in the picture is just miserable. Infested by garbage and destroyed by some more contemporary drawings and writings, the dolmens have lost their glamor. According to the local guide, there used to be more actual dolmen ruins in the valley, however they were destroyed. It would be nice to see the dolmens un-littered and learn more about the history of this valley. Our local taxi guide explained that this place was known as the valley of the gods. According to him the heavy rocks were used as shelter by ancient tribes. Bryant Park was nothing special and it’s situated next to the Kodaikanal lake. There is an entry and you need to pay per camera separately if you want to take pictures of flowers (really?!). The Park is full of flowers and plants, and endless crowds taking typical Bolly/Tollywood photos. Churches/temples in the surrounding. The religious buildings might be interesting to those who have come specially only for that reason. The Churches look very ordinary and are barely over a 100 years old so nothing special according to us. 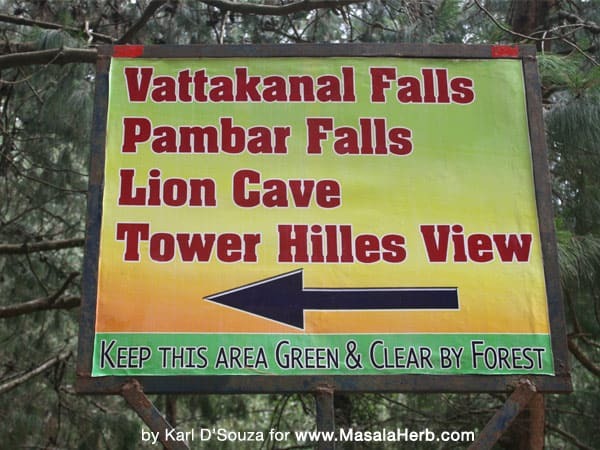 Fairy, Vattakanal and all other waterfalls in and around the Kodaikanal city circle. They call a small water cascade a waterfall… Other domestic visitors said the same thing and added that they felt cheated by the taxi drivers for having paid them to take them to these sights. Small caves such as a certain lion cave. These are not caves, there is nothing to see. Kodaikanal lake viewpoint and suicide viewpoint. Not worth the trouble and waste of time. Horse Riding was fun at first until we realized that they were torturing a wounded horse to carry around tourists. They over exhaust the animals for the maximum profit, this is not right! Generally speaking there is not much to do for a visitor in Kodaikanal. You might want to hire a cycle and take a round, after all moving your body can benefit your health. While moving about Kodaikanal by foot we didn’t come across many interesting shops except the pottery (check out the pottery barn!). Ironically one shop, which I found interesting, was the Kerala handcraft association, they did have a few unique handmade objects, but from Kerala and not Tamil Nadu. I need to confess we had trouble finding satisfying food in Kodaikanal. Maybe we just didn’t come across the right places, except one new and very simple looking south Indian food place opposite the bus stand, which did serve us some world class veg dal. Most of the time we ended up taking away sandwiches from Subway, that frustrated we were with the food! On the last day I even got food poisoning from a Tibetan restaurant (The Internet called it one of the best restaurants in Kodaikanal!). I had a mutton chow mein that day, the others in our group had momos and did not get sick. I don’t want to spoil a restaurants name, so I just want you to know that there are at least 2-3 Tibetan restaurants in the same neighborhood. If you order delicious Tibetan food, pick a fast going dish (ask the waiter). Otherwise most restaurants are completely over priced. We ordered chicken lollipop in one place. We got 2 small, not so tasty, lollipop bites at the rate of 450 INR. Again, no value for the money. When choosing a room in Kodaikanal, follow the motto “don’t judge a book by it’s cover”. We arrived in Kodaikanal during peak season and that’s when rooms should be over booked but this was not the case although that’s what the taxi drivers, guides and hotel owners wanted us to believe. Hotels were not booked out, even on the weekend. Picking a room in Kodaikanal is a real Pain in the a**! I never felt that frustrated finding a room and I have been to places such as Bombay and Delhi. Even when we thought we had the most charming room, we were bitterly disappointed. We paid in advance for two days and they assured us 100% hot water (it’s really cold there in the night!). 30 minutes after checking into the hotel 3 of us had each a 5 minute hot shower, 2 of us (including myself) had to shower ice cold. When asking what happened the manager lied to us first and then admitted that they closed the hot water connection. Why?!? There was no answer to that and they did it again and again and again. The last day I was throwing up and fighting loose motion when they disconnected the water. Why would they do that, we paid them in advance?! Generally speaking about hot water in South India, we never got hot water in any of the hotels although they all promised hot water and the world (otherwise we wouldn’t have picked the hotel right?). The hotel in Kodaikanal harassed us until the end. We had to be back at the hotel at 9 pm, they woke us up at 6 am because we had to move our car, they took away our room gave it to another customer and placed us into worse rooms, they took our room money and told us we should leave the hotel. We are quite decent people and all the time we were treated badly by the locals there. We also noticed a certain attitude towards us, while they treated domestic tourists from the same state like kings. This can’t be right, no? Maybe it might help to book a room via credit card in advance, I really don’t know. Certain rooms looked fantastic on pictures in the internet but when we saw them in real we were completely creeped out. These rooms felt as if somebody was shot in there! I don’t have any good tips on finding decent hotel rooms in Kodaikanal but if you have been there and came across an acceptable hotel, please share with us. A taxi guide to the main sights will cost you around 1500 INR. When we paid that amount we were told that we would be taken around in a Scorpio or Mahindra, we ended up in a maruti sardine can and the taxi driver barely talked to us. Our second taxi driver charged the same amount for the elephant valley, we had to convince him to take us to lesser known places such as elephant valley and the dolmen but he shared some knowledge about the surrounding and he tried to make us feel comfortable. Goodies you might want to buy in Kodaikanal include Eucalyptus Oil and a bottle with roots and spices, which has to be filled with coconut oil. The latter makes a superb hair oil (I am still using it!). Kodaikanal is famous for chocolates… To be honest we did not enjoy the chocolates. Our verdict is that Kodaikanal used to be a beautiful place to visit. We kind of felt cheated and unwelcome in Kodaikanal. It’s not a place for you, if you are looking to learn more about the surrounding and culture. Kodaikanal is not for you if you are a backpacker (in that case you might want to check out Vattakanal). I think Indian families from the cities can do so much better by visiting other places or Kodaikanal needs to change for the better in the future, because I don’t think tourism can continue this way. People will travel more and slowly realize that the value for the price they have been getting in Kodaikanal is just ridiculous. What do you think? If you have been to Kodaikanal, what has been your experience? Glad you were honest about your experience my friend! Kodaikanal sounds like an absolute horror, and I’m sorry you had to go through it! I want to visit Goa. I think I’ll leave Kodaikanal for others to visit. 🙂 You are so honest – I love it! Good job. Nice post. Thanks for sharing. Im from India, name Juliet, just read your article about kodaikanal and the hotel owners behaviour, just wondering maybe one should not pay complete payment at the very begining maybe half payment should be made while departing from hotels that way hotels would be more careful, also you can just leave the hotel and maybe go to the next one, what you think of the idea lol. 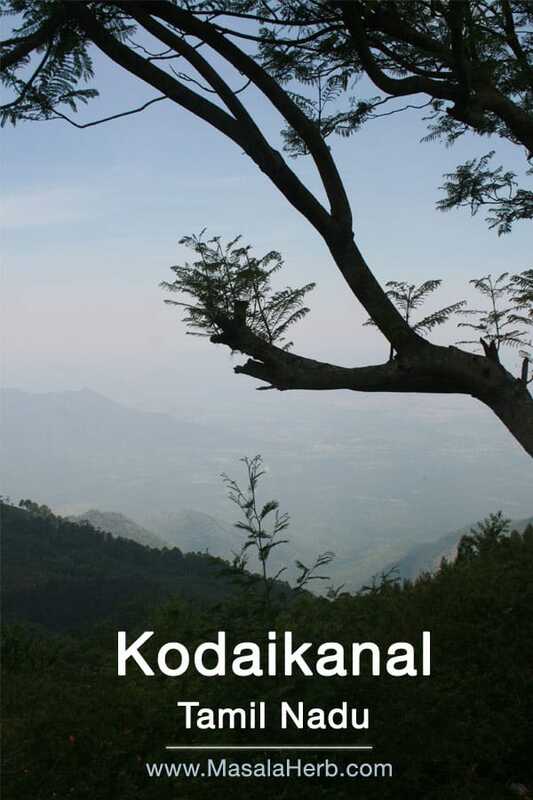 by the way thanks for the information on kodaikanal, very useful. I read your blog. I feel really sory for you. I am also a tamilian from madurai who is going to visit kodaikanal with friends in a couple of days. Taking my friend for the first time as he is from karnataka i always make sure that i show the best of tamilnadu to him. I request you to forget all the worst things happened to you in kodaikanal and plan a trip with proper iteneray. I always look out for unusual, breathtaking, less explored places. If you have any suggestions in Tamil Nadu where tourists don’t go, packed with history and culture, then please don’t hesitate to share it with us! This was really an interesting and informative post. Pictures are amazing. Thank you for sharing your experience with us. 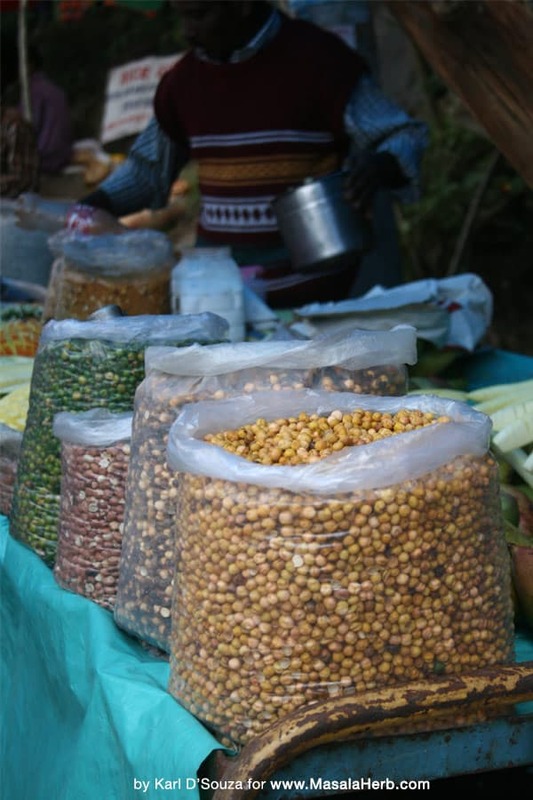 Hi, this may be interesting you: Kodaikanal Tamil Nadu South India and my honest experience!